Funeral of Soviet cosmonaut Komarov. Vladimir Komarov (1927-1967) was the first person to die during a space flight. On 24th April 1967 he attempted to land the Soyuz 1 spacecraft on its maiden flight. The spacecraft's parachutes failed to deploy properly on re-entry, and it impacted the ground at 30-40 metres per second, killing Komarov instantly. Komarov's body was recovered from the smouldering ruins, but all that was left was an irregular lump 30 centimetres in diameter and 80 centimetres long. 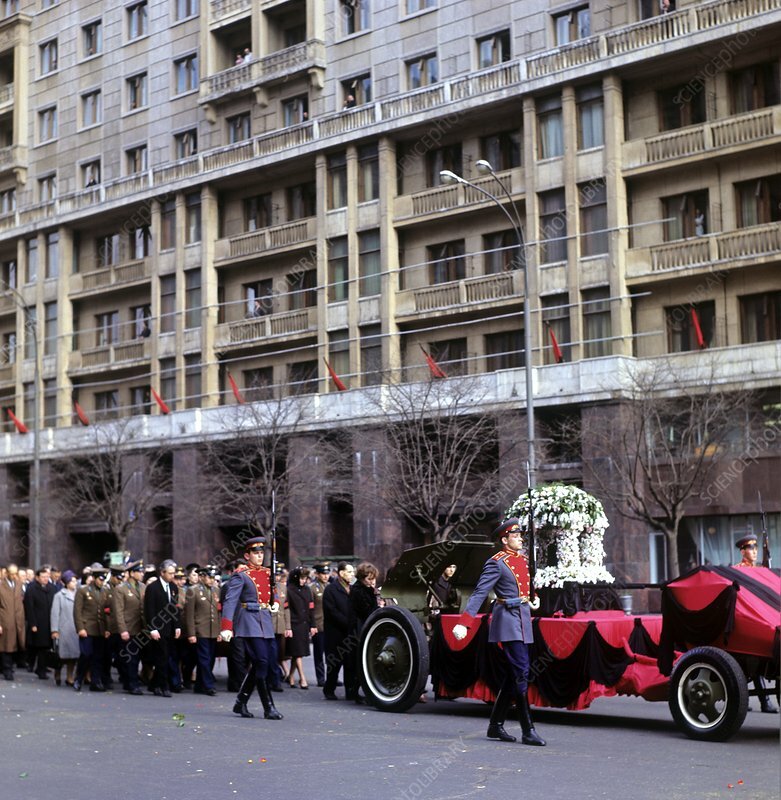 The body was returned to Moscow and a state funeral took place on 26 April 1967. The body was cremated and Komarov's ashes were interred in the walls of the Kremlin with other Soviet heroes. Photographed in Moscow, Russia.